Henry "Hank" Kreminski was taken peacefully and with dignity to be with the Lord on April 20, 2018 at the age of 97. He was a loving and caring husband of 65 years of marriage, an awesome father and role model, and a grandfather. He is survived by his two sons: Jim of Sisters and Gary of Palm Springs, California, as well as Jim's wife Joyce; two grandchildren, Carly and Cody; and one who he is now reunited with in Heaven, Casey. 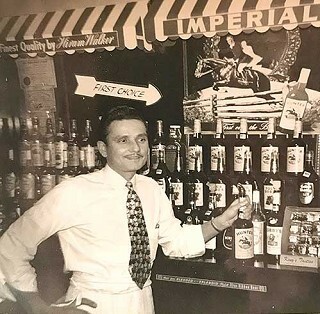 He was born and raised in Cleveland, Ohio, where he grew up in a good Polish home, and was the youngest among five children, two brothers and two sisters. His father, Frank Kreminski, was from Warsaw, Poland, and came to America with a dream to get other family members over - which he ended up doing later, getting his sisters out as well. Although he had been born into a decade where the "Great Depression" started, his family managed through hard work and blue-collar business tactics to hang on to most of their possessions as well as their home when many had lost everything. Our father, like many young men of the day, carried that memory of struggle throughout his life, seeing things that he rarely ever repeated; but family tradition and commitment to making it in America pushed the Kreminskis forward and brought them together teaching them to never give up the dream. Hank went to East Tech High School, and one of his main passions was baseball. With him being a southpaw, which was rare, he ended up becoming a good pitcher, but in 1936 with money very tight it was decided at 16 years old that he get out of the city and join the Three C Camps that were just started in the U.S., so he got on a train and ended up in Wallace, Idaho. This city boy was in awe of the majestic mountains and pine trees, and this was a beginning of a new chapter for him. He learned from seasoned lumberjacks how to cut down and clear trees, and how to deal with nature and the outdoors in general, and from what he always said was one of the best years of his life. He also enjoyed singing with the workers and even learned how to play the harmonica, something which he played on and off all his life. Little did he know this training and discipline would be needed to survive a war that was yet to come! Shortly after he came back home, World War II broke out and at age 20 he enlisted in the Army. Because of his aptitude, the Army decided to place him in the Medical Corps, but after a few months knowing that he wasn't cut out for it, decided he wanted to be on the ground and ended up in the infantry as a private. In no time he was promoted to Staff Sergeant and then Platoon Sergeant, leading his own platoon of men. Shortly he was sent to France and Germany, where he and his men bravely fought on D-Day in Normandy, on Omaha Beach. They were on the 17th wave. He only spoke briefly of that memory, but he survived the battle with the good Lord getting him through it. One of his proud memories was how he and his platoon captured a German general who had surrendered, and ended up taking his Luger from him. When he finally landed home on the Queen Mary, that was one of the first things he sold getting off the ship - never wanting anything connected with that part of his life again. 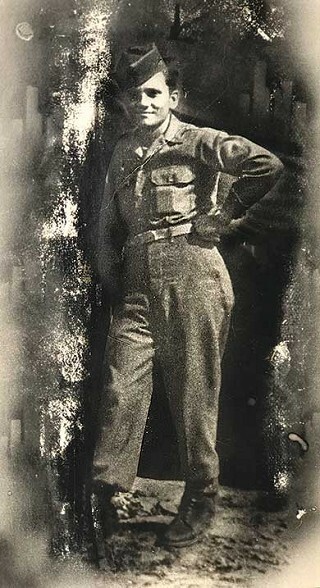 Although he wanted to be home for Christmas, he reached his home on December 26, 1945, and walked in with full uniform on and into a full house to greet him. His future changed again, for there that day he met his soul-mate, Marie, and after they met and went out for a few months they were married in 1946 and never left each other's side for 65 years, until she passed in July of 2011 at 88 years old. Dad and Mom stayed in Cleveland for a year or so and wanted to make a life there, but because of a relative needing their help, they packed up and moved to Phoenix Arizona, where he stayed and worked and managed his aunt's bar business for most of his early career. He had his two children there, and worked and lived in Arizona until 1960. Since Mom had a sister living in San Diego, California, they decided to move to a little town called Santee. Dad landed a job in an aeronautics company as an aircraft parts inspector for a short time until he got hurt on the job, and after that he quit and pursued the entrepreneur's life and bought and sold real estate and did private lending for the rest of his life before retiring. The family lived in San Diego for most of their lives with Dad and Mom moving back to Arizona in the 1980s, but eventually coming back to CA. and stayed there until 2010. Jim had already moved to Oregon a year earlier, so he packed them up and they moved to God's Country and resided here the rest of their lives. In 2015 he made the journey to Washington, DC for the Veterans Honor Flight where he humbly received honors for his service. One of the highlights of all our lives was that trip we took with a Dad who was a man of Honor, Dignity and Courage, and who was loved by many. We are forever thankful to him for his dedication as a father and bravery as a soldier. His pride and joy were in his family, and the many celebrations and holiday occasions throughout his years were always at the Kreminski home, where he was proud to host and serve others and his legacy and what he stood for will never be forgotten. His Celebration of his Life in Honors was on April 30, at the Willamette National Cemetery in Portland. Information provided by the family of Hank Kreminski.